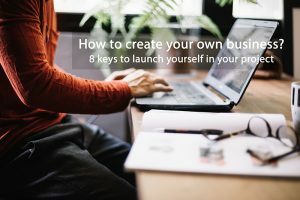 How to create your own business? 8 keys to launch yourself in your project. Develop your idea: If you are willing to launch yourself in the opening of a new business, it means that you have a main idea from which you start. It is important to be clear about the concept of your idea and to question daily what you intend to provoke in the target audience. The main thing is to have a well-structured idea and from it, extract other opportunities that generate the growth of your project. Being clear about the purpose of your business is essential to predict a good long-term path. Make a difference: Nowadays it seems that almost everything is invented. It is important to keep something in mind that makes your business unique, different and alternative. Surely the business you undertake is already in the market, therefore, it is about giving your personal touch that sets you apart from the rest. For this, we must be up to date with the competences that surround us. Find what your target demands and undertake according to those needs, without forgetting to innovate and progress. Investigate your competition in the market: What and how many companies are around me with goals similar to my project? We have to know what and who surrounds us, not to plagiarize what already exists, but to offer what is not yet. 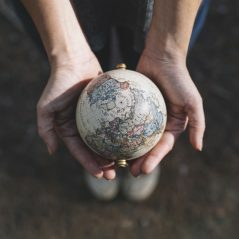 The market is competitive and as we have mentioned before, we must constantly be updated about everything that surrounds us to compete with the nearest businesses. Know your financial plan: Launching a business involves investing. It is essential to carefully study the initial financial plan. Entrepreneurship involves knowing how and how much I want to spend. Therefore, having a good overall planning before carrying out the project is important to ensure success. The benefits and gains will depend largely on a good initial financial plan. Trust a good team: Surrounding yourself with the right people is an essential factor for the growth of a business. The beginnings are hard, although they can be made more bearable when you surround yourself with people who collaborate and follow your same line of work. It is not easy at first to find a team that works in harmony, but in the long term, surrounding yourself with the appropriate people ensures the stability and unification that a business requires. Promote your business: Give voice to your business. It is the order of the day to advertise your business through social networks. Being active is essential to give your project to know and generate new contacts. Getting a good web positioning takes time and dedication, but also brings you easily to millions of people from all over the world. It is a very good opportunity to develop your business. Choose the legal form of your company properly: It is important to study the choice of the legal form of your company. Some businesses are forced to adopt certain legal forms, but if it is not your case it is a wise decision that you have to make. To do this you must inform yourself of all the options that exist and which are the ones that best suit the business you are going to undertake. 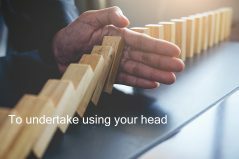 Think big: Finally remember that when launching a new business, you have to keep your mind moving forward. Never try to keep the same thing always, look for and offer new alternatives, changes and innovations that keep your business fresh. Recreate and make the project that one day you cast, never cease to be captivating for your audience.